A legal address of Czech companies or a place of performing business activity – is the address of business registration in the Czech Republic. A legal address is considered to be the address where proprietor activity is performed. It is registered with the Commercial register and is indicated in all official documents related to the entrepreneurship after the registration. 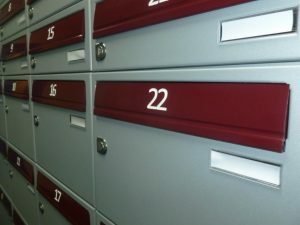 A business can have several addresses or physical locations of objects linked with an activity, for example offices and departments, but the registered (main) address is the only one. A company legal address or the sole proprietorship registration can force business development. Potential clients trust, relationships with state control institutions also depend on exitence of the address. Therefore, it is necessary to take this matter seriously and rely on professionals. A legal address is the location of a legal person, which is registered in the Commercial register and is indicated in the authorized documents. The decision regarding a legal address is to be taken by an applicant who submits documents to the register. There are no certain restrictions on legal addresses of companies in the Republic. For the moment, there is only one condition: if a company’s legal address is located in an apartment, the usage of this flat must not harm the silence and good order in the block of flats. Regarding the state institutions a legal address defines the territory a company belongs to. The Czech Commercial court and the Czech Financial institution (Tax inspectorate) departments are also assigned by this address. The same restriction stays for a sole proprietor registered address in the Czech Republic. If one rents a property in the country, having come in the agreement with an owner of this property it is possible to register the place of living as the address of an enterprise. In this case, an owner of the property registers a legal address. Changing a renting property, it will be necessary to change a legal address of a proprietorship for an additional cost. Why one should order a legal address in DoMyTax? We successfully work on the market since 2006, keep accounting and legal assistance of hundreds of companies and guarantee the high quality professional approach. We provide reliable legal addresses so that a company or a sole propietor in the Czech Republic can get the correspondance to one’s own name. To learn more about the provision or registration of a legal address of an individual entrepreneur or a company in the Czech Republic, feel free to contact us via the form on our webisite, chat or the phone number: +420 234 261 969.